Ubiquitous current transformers are the foremost interface devices between the power system and the protective relaying! The standard current transformer secondary winding is rated at 5A as per ANSI standards. Other rated currents such as 1A exist elsewhere. 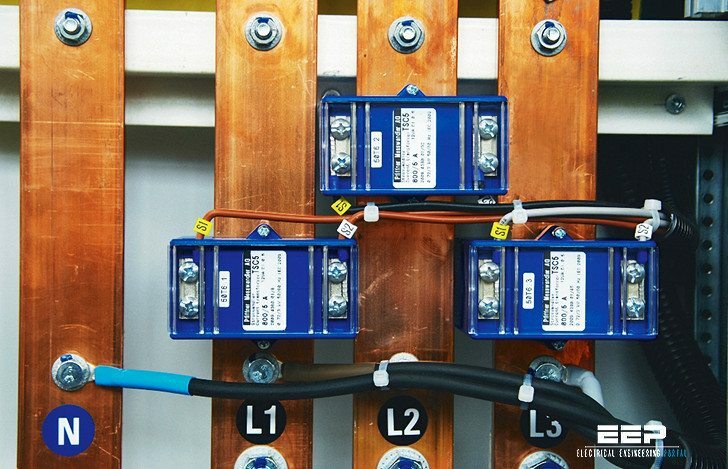 The main purpose of a current transformers is to translate the primary current in a high voltage power system to a signal level that can be handled by delicate electromechanical or electronic devices. The secondary connected devices could be indicating or energy integrating instruments, protective relays, transducers etc. Since the applications are so varied, it is natural that the CT be properly specified, depending on the exact application to which it is applied. To this extent, it is necessary to understand some of the fundamental ways the CTs behave. 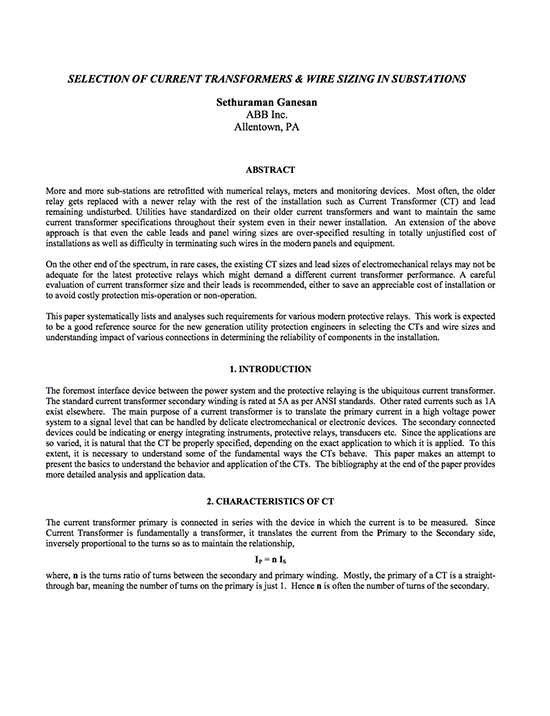 This paper makes an attempt to present the basics to understand the behavior and application of the CTs. where, n is the turns ratio of turns between the secondary and primary winding. Mostly, the primary of a CT is a straight through bar, meaning the number of turns on the primary is just 1. Hence n is often the number of turns of the secondary. The relationship above is assuming an ideal current transformer without any losses and negligible magnetizing current. In actual practice, the CTs draw a current to keep the iron core excited and drop a voltage proportional to the current transformed because of the inherent resistance of its windings. An equivalent circuit of a CT is represented by Figure 1 above, where Xm represents the magnetizing current reactance and RCT represents the internal winding resistance. Title: Selection of current transformers and wire sizing in substations – Sethuraman Ganesan; ABB Inc. Selection of current transformers and wire sizing in substations – Sethuraman Ganesan; ABB Inc.